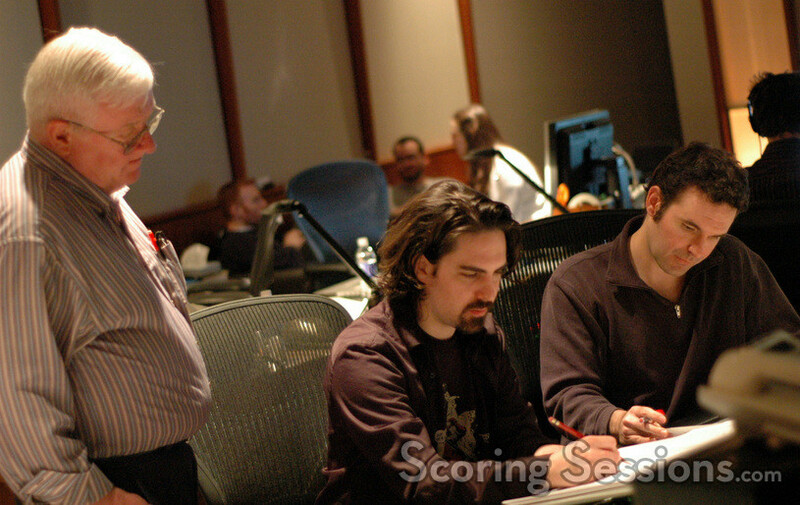 Earlier this year, composer Bear McCreary was at the Eastwood Scoring Stage at Warner Brothers to record his score for the "Human Target" television pilot. Based on the DC Comics graphic novel, "Human Target" focuses on Chance (Mark Valley), who puts himself in the line of fire for clients who are threatened. 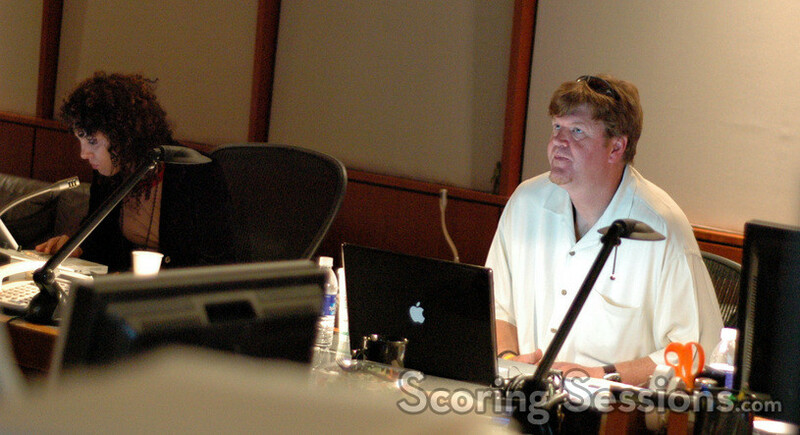 The show is produced by Brad Kern, McG and Jon Steinberg, and also stars Chi McBride and Jackie Earle Haley. 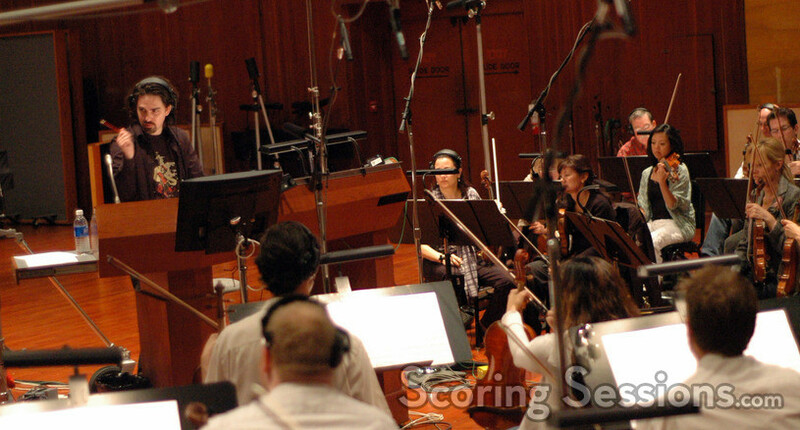 Bear McCreary conducts "Human Target"
Conducting a 47-piece ensemble of the Hollywood Studio Symphony, McCreary’s music is both thematic and lush, but also has plenty of tense action moments that utilize big and rhythmic ostinatos. 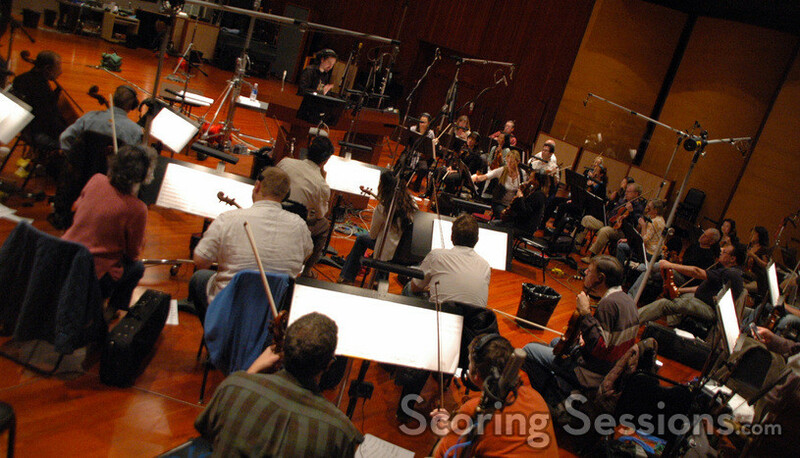 It’s different from his work on "Battlestar Galactica", but McCreary did indeed utilize the "Blethestra" (i.e. 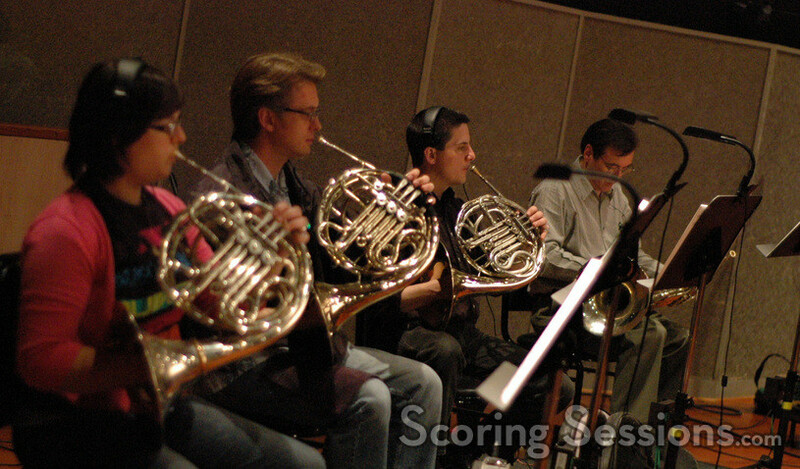 woodwind player Chris Bleth), as well as some electronics, and percussion pre-recorded by MB Gordy. 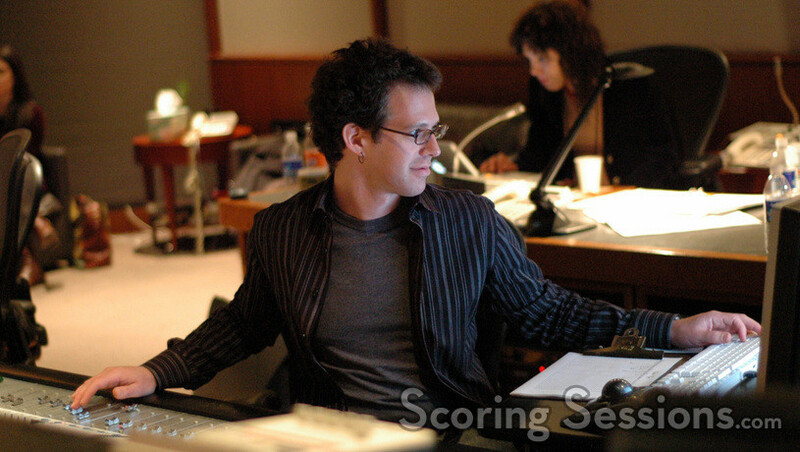 Guitar pre-records were performed by Brandon Roberts, who also orchestrated on the pilot with Jeremy Levy. 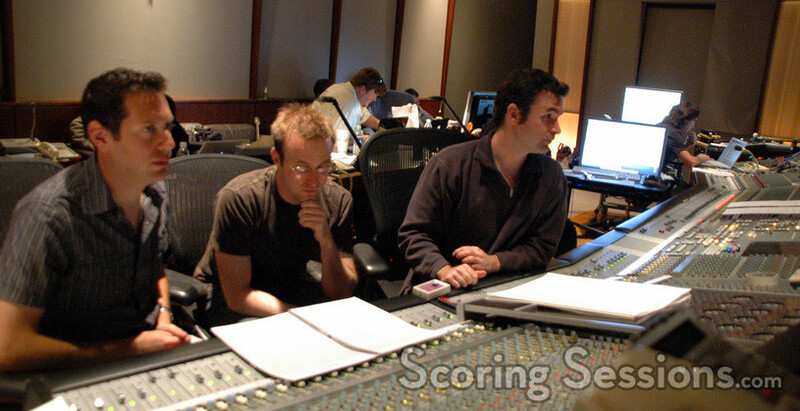 In the booth, scoring mixer Steve Kaplan handled the recording duties, while Roberts, Levy and mentor James Hopkins gave feedback from the booth. 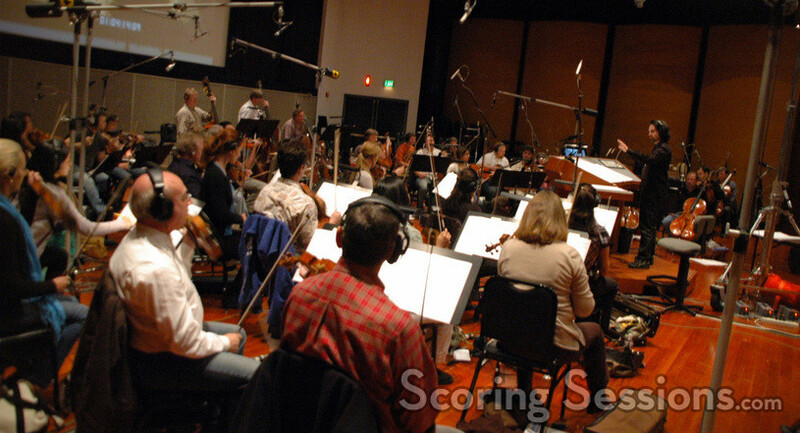 Also providing assistance was music editor Chris McGeary, additional music composer and score coordinator Aaron Roethe. "Human Target" will premiere on January 17th, 2010, on Fox.